MD Trader is simply the best tool available to help traders make money. With unsurpassed speed, reliability and ease of use, MD Trader provides the best the market has to offer. Innovative technology to meet the demands of the most aggressive traders is combined with ease of use and safety features, which enables you to get up and trading in a matter of moments. 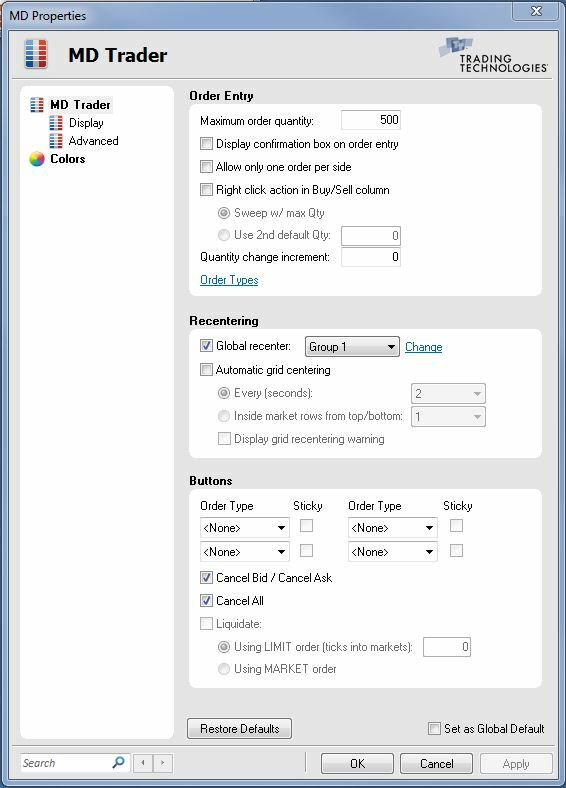 You can launch MD Trader from the X_TRADER Control Panel by selecting , or by selecting a contract and selecting MD Trader in the Market Explorer drop-down menu, then clicking Start. The MD Trader window is highly customizable to meet your trading styles and needs. Use the properties menu to select and change many different features available in MD Trader. You can also customize display options and colors to suit your preference. 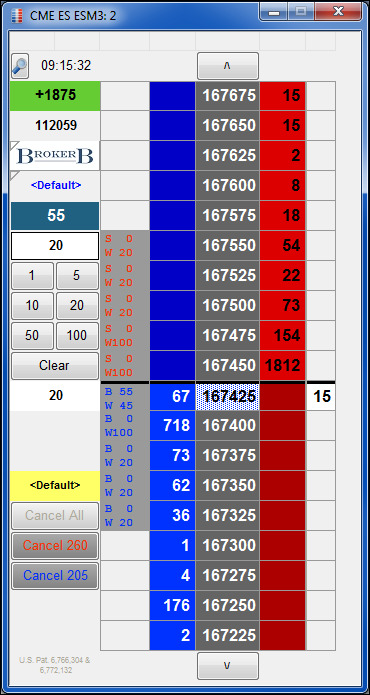 To access the properties menu, simply right-click in the gray area of the MD Trader window and select Properties.